Your site speed and the page load time is one of the most important components when the Google ranking algorithm is in place, and this can affect your search engine ranking. If you do a test with Google PageSpeed (or any other speed testing tool) and if you get a result that you need to use browser caching, we’ll show you how to do that in WordPress. When you, as a user, visit a webpage for the first time then your browser will store a copy of the static files like images, CSS, java scripts and favicon locally on your computer. This basically means that your computer will not download those files again when you visit that website. The webpage at the end will load faster and this is called browser caching. How to leverage browser caching? First, you’ll need to disable the ETag header because this tutorial will teach you how to use Expires. The ETag technology is slow and full of problems. This code, your main static files (images, PDFs, CSS, JS, etc.) will be cached on your visitor’s computer in order to produce faster loading of your webpage in the future. If you compress things then you will always end up making them smaller and hence load faster, so implementing some form of compression on your components is a must have. This optimization step might not work if your server does not have either mod_deflate or mod_gzip installed as part of Apache. 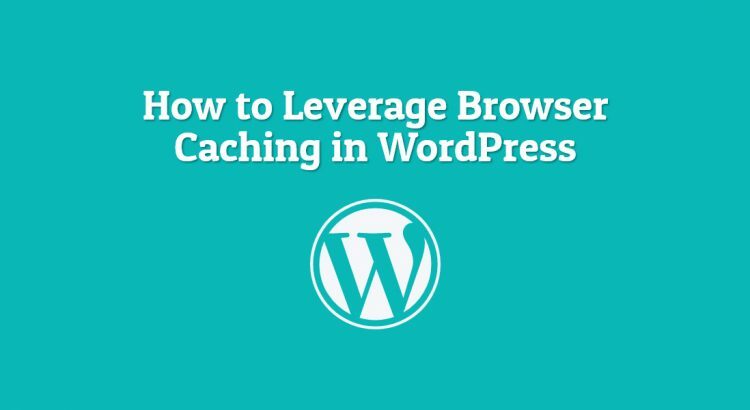 You can leverage browser caching with the W3 Total Cache Plugin. If you don’t already have it installed, you can do so for free on your WordPress site. After that, go to Performance >> Browser Cache. Apply the following settings. That’s it all you need to do. Run the page speed test again and see the results. You will see your PageSpeed Score will be improved and your website will load much faster than before. Of course, you don’t have to do any of this if you use one of our Service Configuration & Optimization services, in which case you can simply ask our expert Linux admins to speed up WordPress and leverage browser caching for you. They are available 24×7 and will take care of your request immediately. PS. If you liked this post, please share it with your friends on the social networks using the buttons on the left or simply leave a reply below. Thanks.